The Mt. Blue JV Baseball team got some tips on Saturday from Roger Wing, a Farmington resident and former pro baseball player. 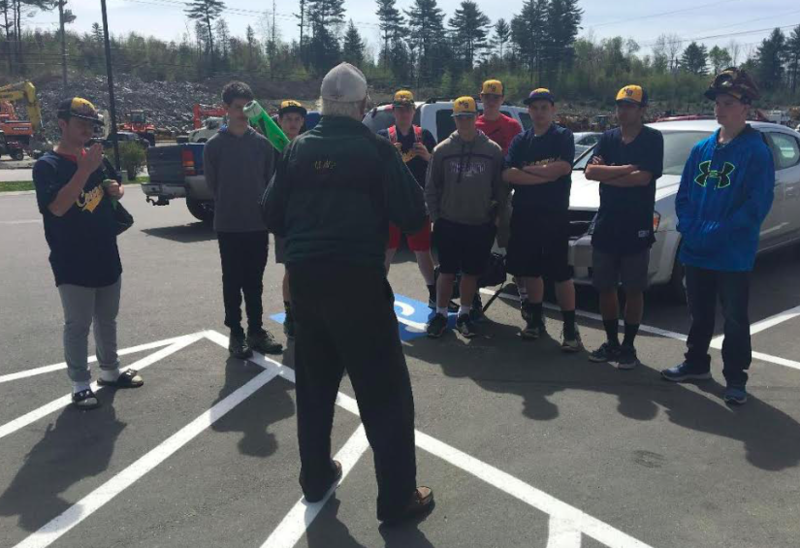 FARMINGTON - The morning started off at Irving Big Stop for breakfast where the players received a few batting tips from Roger Wing, a Farmington resident and former pro baseball player. The candid moment between Mr. Wing and the players captured how the game has evolved over the years from a hitters perspective. Afterward, the boys dropped in to see the folks at the Sandy River Nursing Home. They Chatted with a few residents and witnessed a serious round of bingo in the activities room. One man recalled going to Fenway Park in the early 60's to watch Carl Yastrzemski and was proud that Celtics great, Bill Russell, lived in Reading, Massachusetts where he grew up. The new JV coach, Ben Davis, is EXACTLY what this baseball community needed. His time and commitment is something I have never seen and you can see it in his team. The boys look up to him and listen to his every word. They always have smiles on their faces, even after a loss. I wish there were more coaches like him.